Looking back, my freshman year of college was full of life adjustments and new experiences. From frantically searching for classrooms to navigating dining halls and mingling with professors and peers, college life is a one-of-a-kind experience that can be difficult to prepare for. Whether you are already acing your freshman year, or are still feeling shaky after a week of classes, we’ve rounded up the top 5 books that every type of college freshman should read. Written by Harry H. Harrison, a New York Times best-selling author, this insightful read was written for all students. 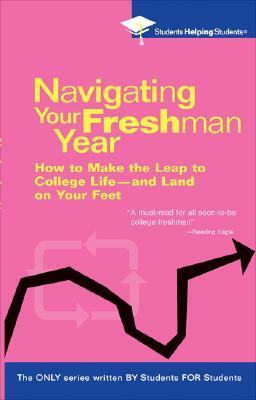 But it’s especially useful for college freshmen in terms of what to expect during their college years. 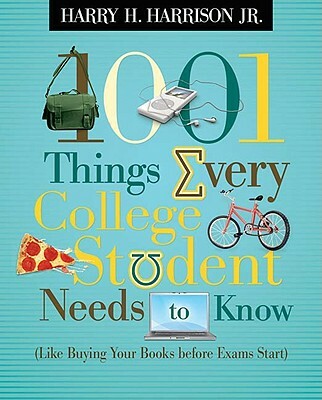 With an emphasis on strategies for staying in school, succeeding academically and enjoying life on campus, 1,001 Things Every College Student Needs to Know is packed with helpful advice pertaining to both your personal and academic life. Humorously subtitled “Like Buying Your Books Before Exams Start,” this book covers everything you need to know down to the basics. Who better to give advice on college life than recent graduates? With first-hand, expert advice on topics, such as balancing study time and socializing, knowing when to ask for help in class, “navigating the dating maze” and scoring top-notch grades, Navigating Your Freshman Year is a great resource for first-year students. 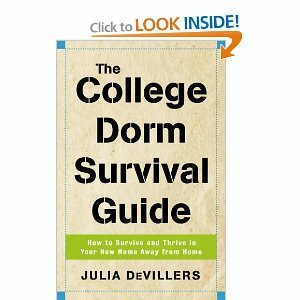 The College Dorm Survival Guide by Julia DeVillers is one book that I definitely should have read prior to college. While living in a dorm is exciting and an experience that I believe every college student should have, there are also some drawbacks to dorm life that are important to keep in mind; DeVillers covers all of them and then some. From choosing a dorm facility that suits you, to move-in day and the difficulties that often accompany sharing a room, DeVillers’ book will serve as your guide for what to expect and how to handle different situations during your first year on campus. It’s often said that “college will be the best years of your life.” But in order for this saying to ring true, students must first realize the importance of staying true to themselves during college; this means realizing that your values and beliefs do not have to be the same as those of other students. If you feel that this is something you may struggle with in college, be sure to check out Nora Bradbury-Haehl’s book, The Freshman Survival Guide. It’s full of insight on the “soulful” side of academics, relationships and the college lifestyle. Divided into five sections: relationships, identity & spirituality, academics, risk and balance, Bradbury-Haehl’s book tackles all kinds of issues, including homesickness, learning who you are, why you should show up to class, safety, health and more. 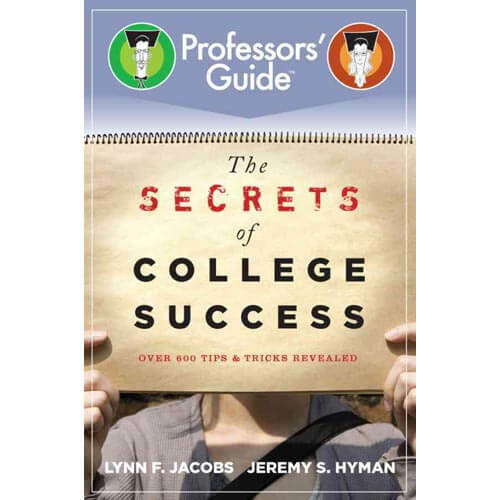 Written by award-winning professors Lynn F. Jacobs and Jeremy S. Hyman, The Secrets of College Success is the ultimate guide to academic success. From tips on picking good courses and avoiding bad professors, to developing “college-level” skills and habits that will put you ahead of the pack, this book is loaded with everything you need to know about classroom conduct, interacting with professors, effective study habits and getting good grades. This is a quick read that is full of easy-to-use tips and supportive and friendly advice; it’s like having your own personal professor to guide you through college. What could be better? Don’t let college life and classes intimidate you. Instead, choose from our list of must-reads, and embark on your college journey with confidence, know-how and realistic expectations of what lies ahead.